Our generation is all about convenience, right? We are all trying to make everything simpler, easier, and more enjoyable. How many times have you tried to order take-out and had to repeat your order because of a bad connection, language barrier, ect? We’re taking the confusion out of manual order taking. When using our online ordering, this Chicago pizza and wing joint will never mistake a request. Already out and about? Come visit us at our Logan Square, Uptown, Avondale, or Carol Stream location and pick up your order. Or take advantage of our all-day delivery. 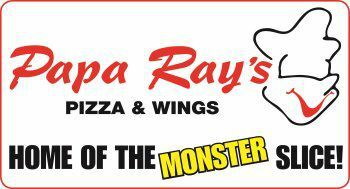 Again, it’s all about convenience and at Papa Ray’s Pizza & Wings, we delivery not only that, but also the best pizza and wings in the Chicago area. So go ahead and treat yourself. Click away with our online ordering and snag that extra order of boneless chicken wings with a delicious side of fries. You deserve it.